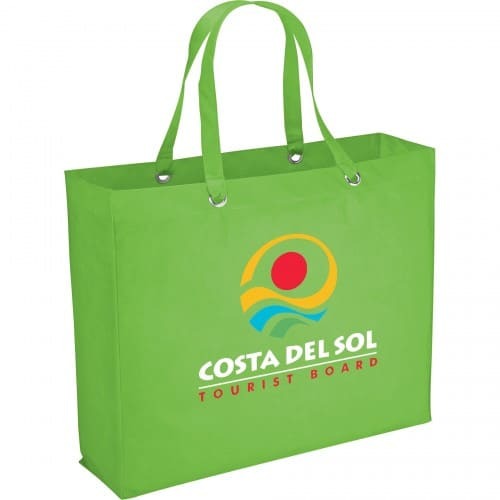 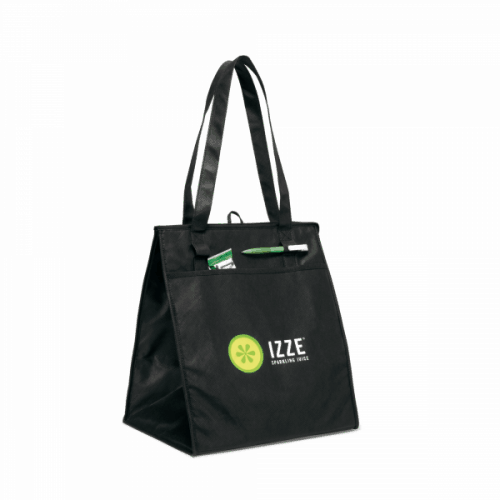 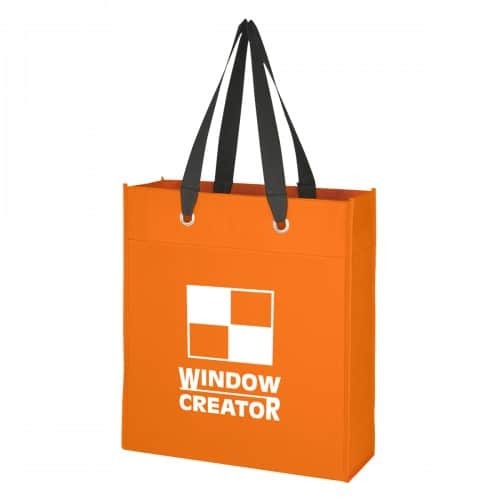 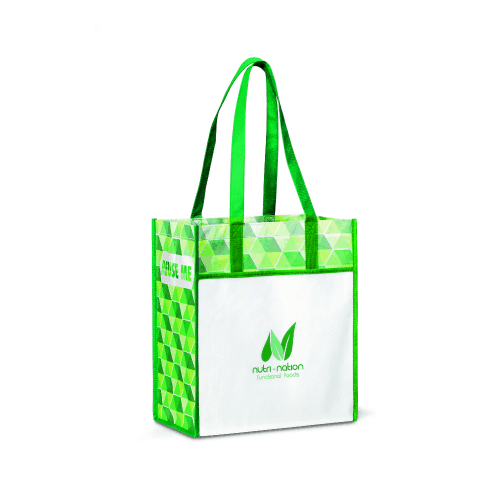 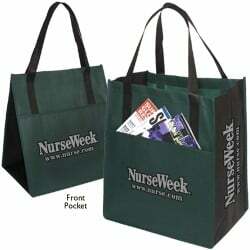 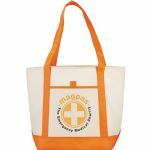 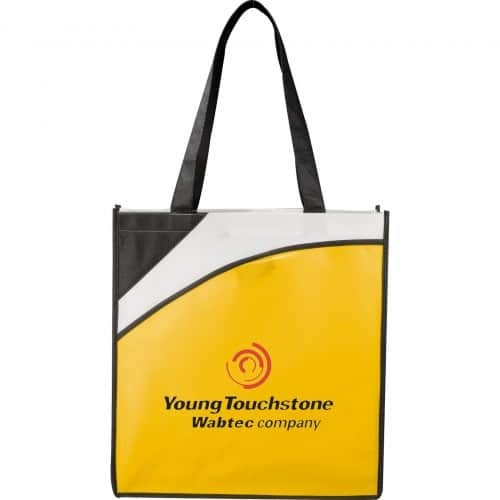 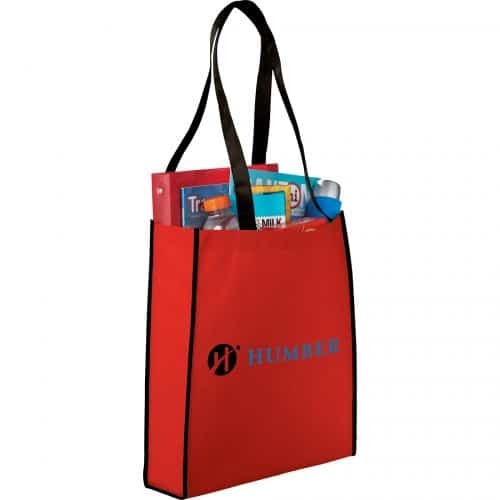 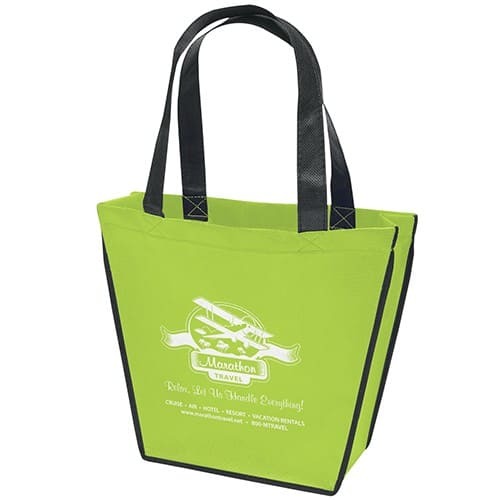 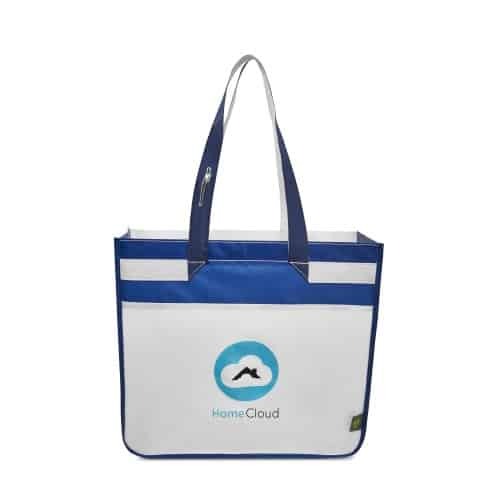 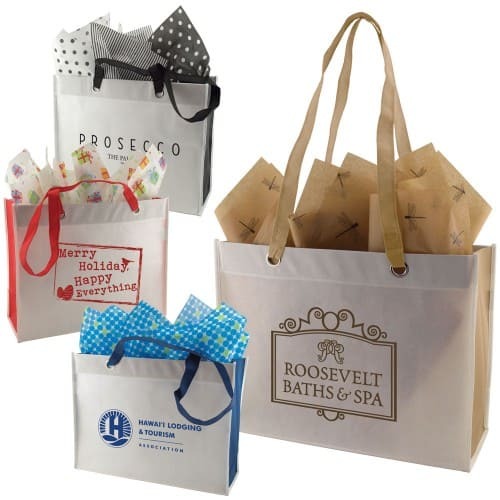 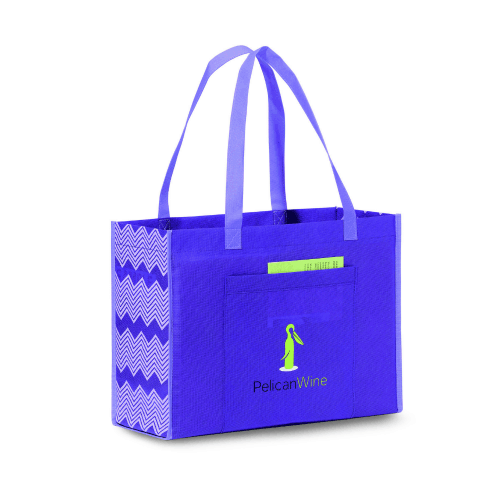 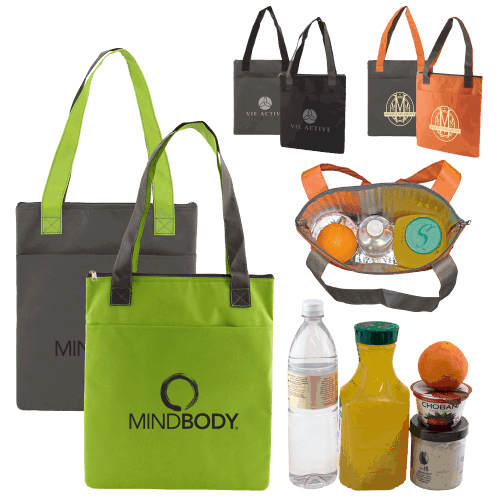 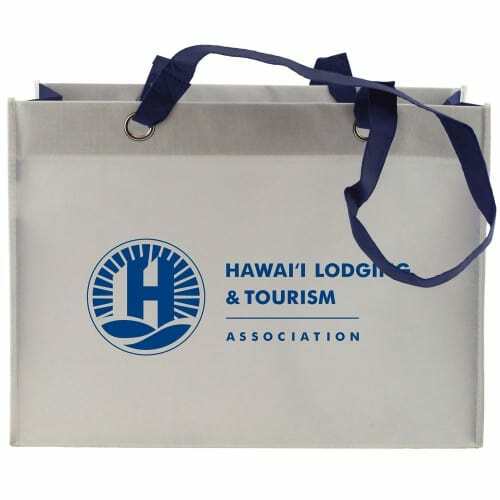 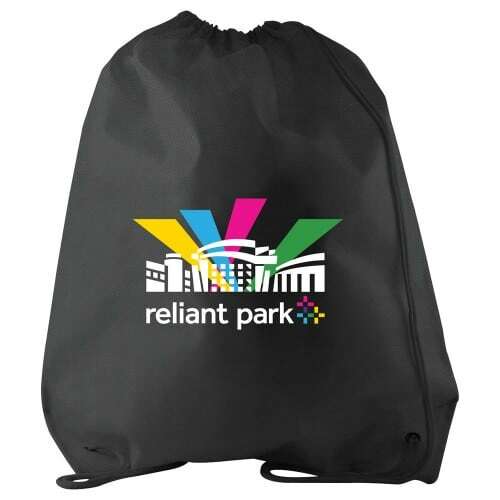 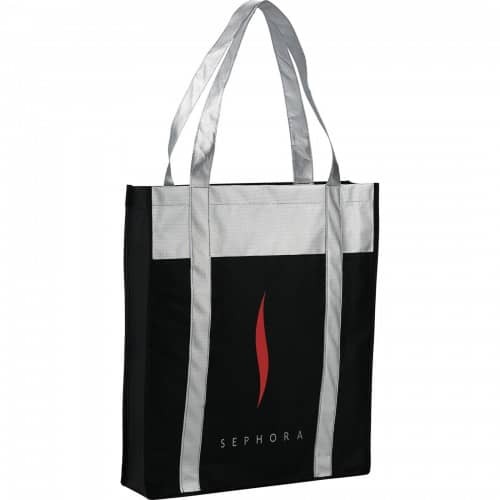 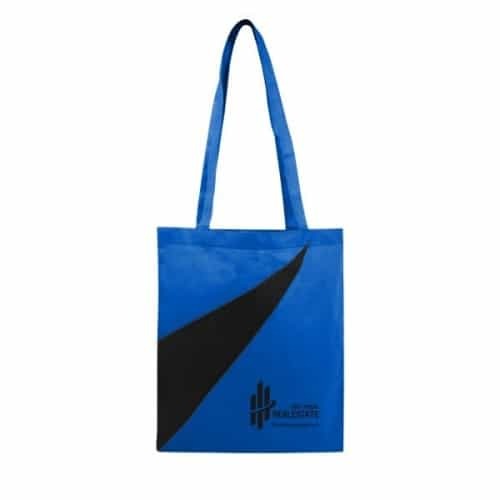 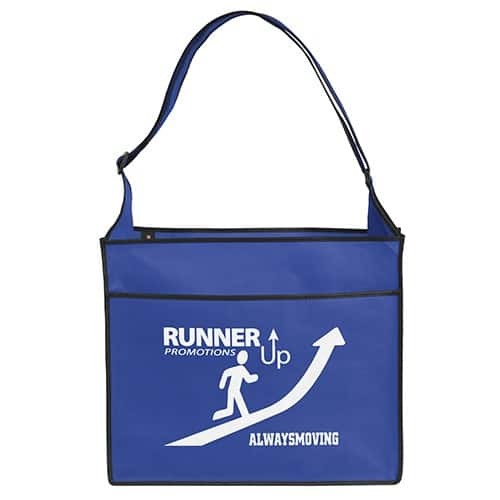 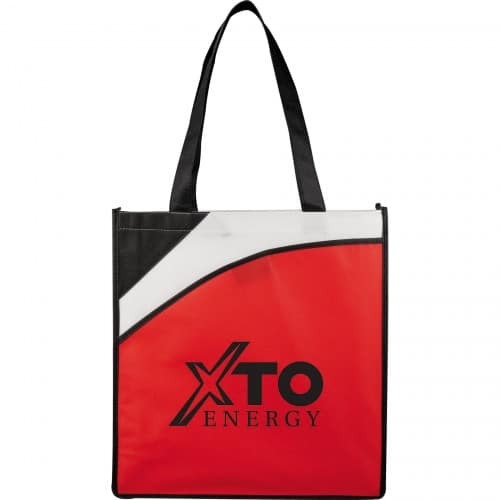 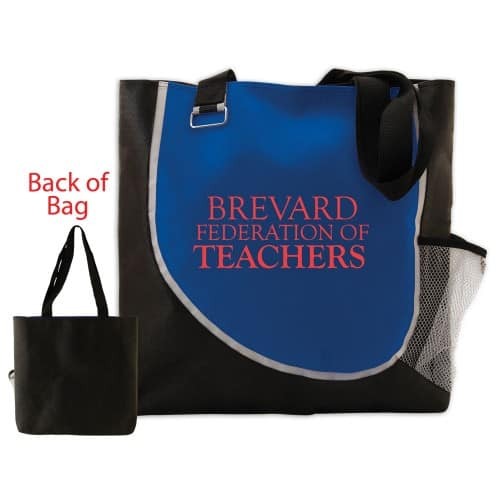 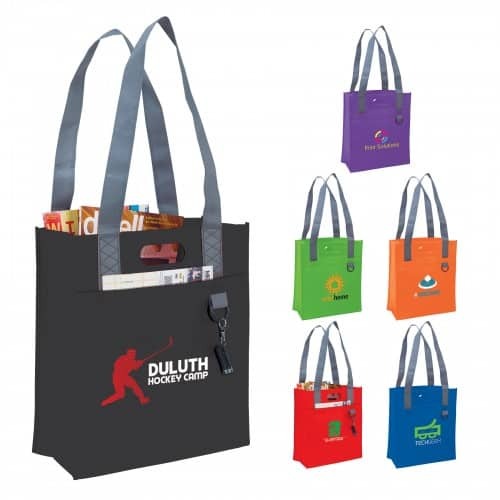 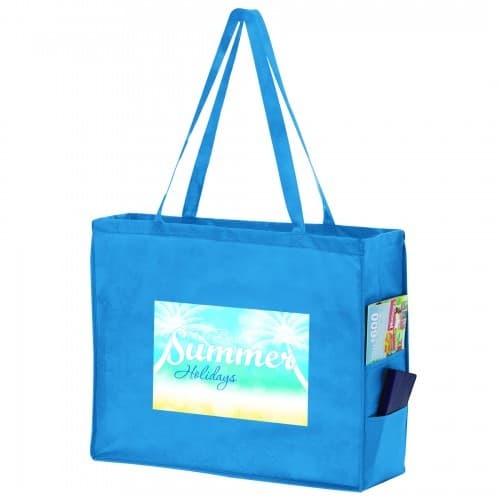 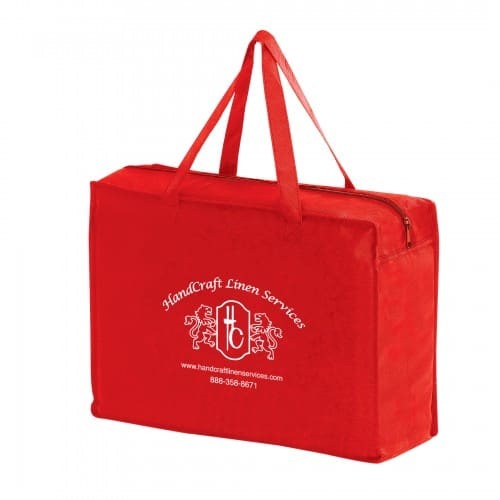 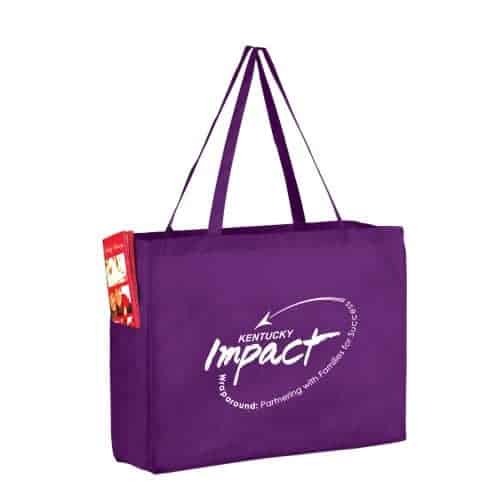 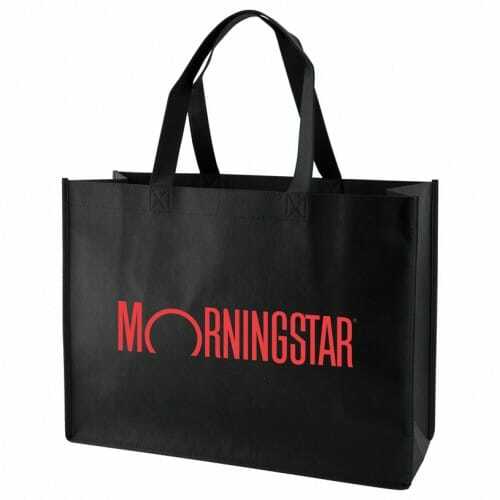 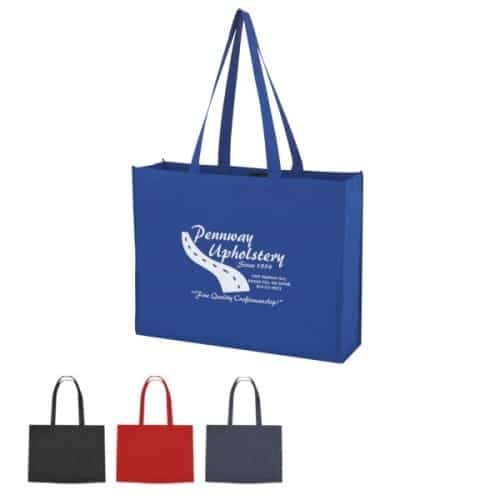 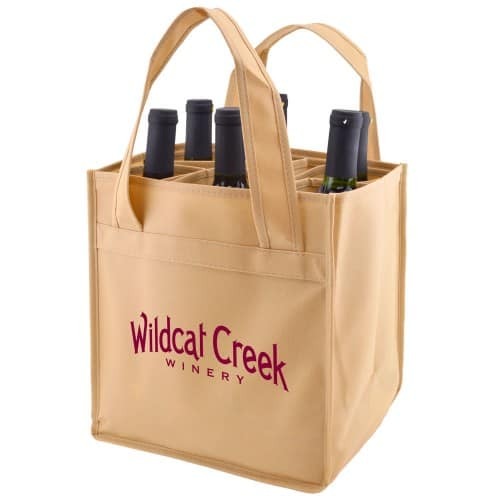 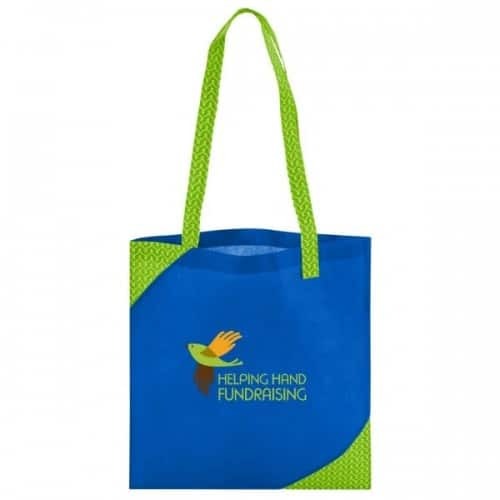 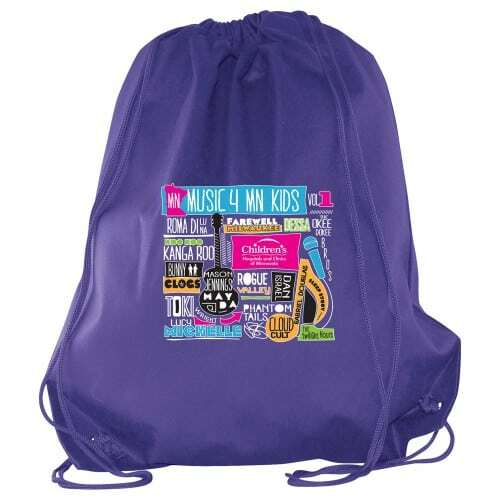 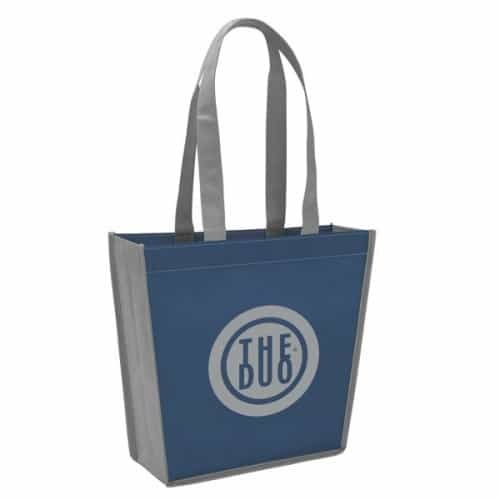 Why choose custom non-woven tote bags? 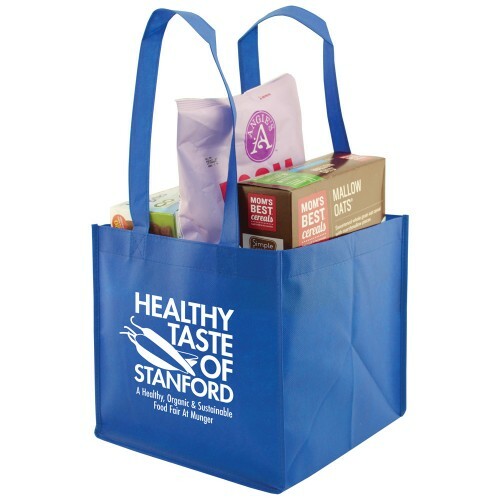 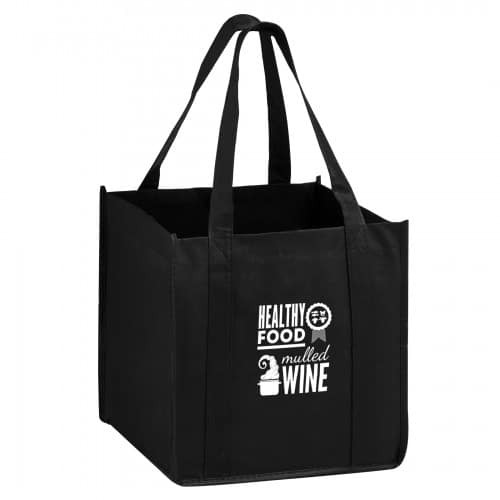 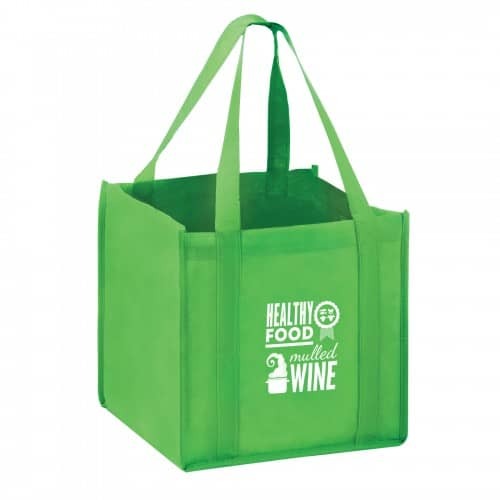 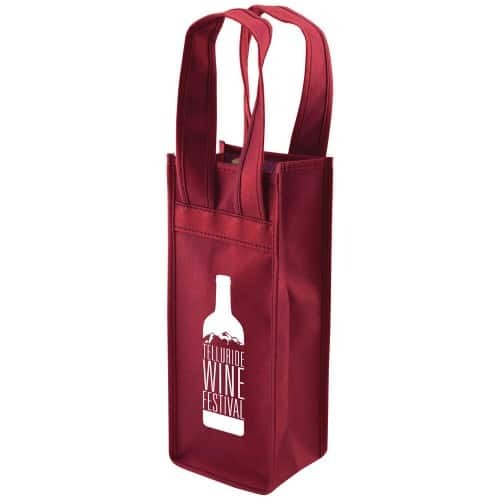 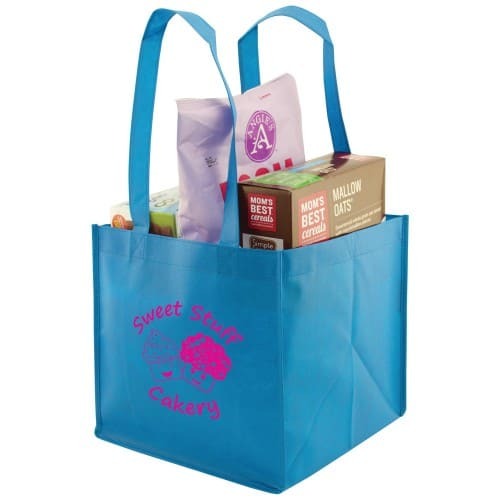 Non-woven grocery totes are both reusable and 100% recyclable. 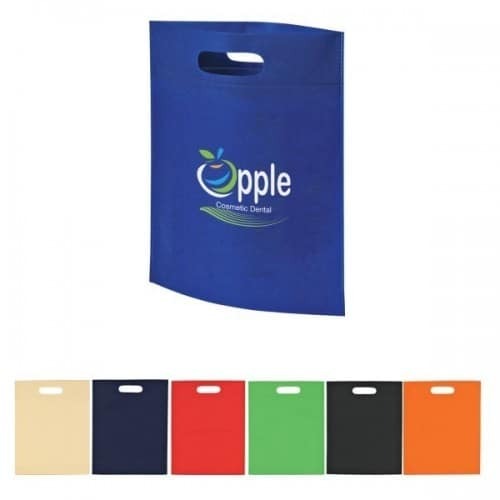 They are one of our top selling promotional items and are popular due to their low cost and durability. 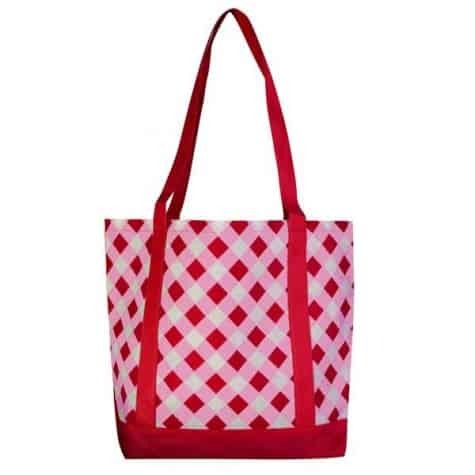 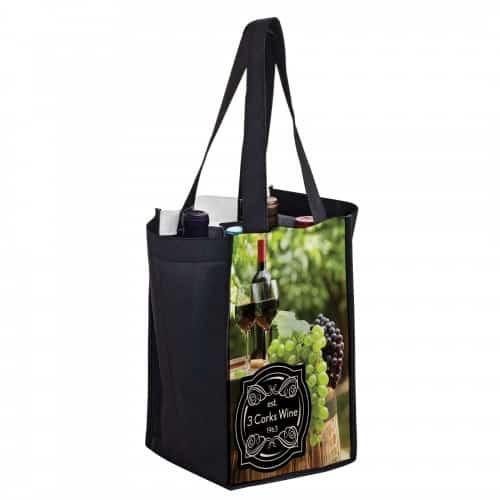 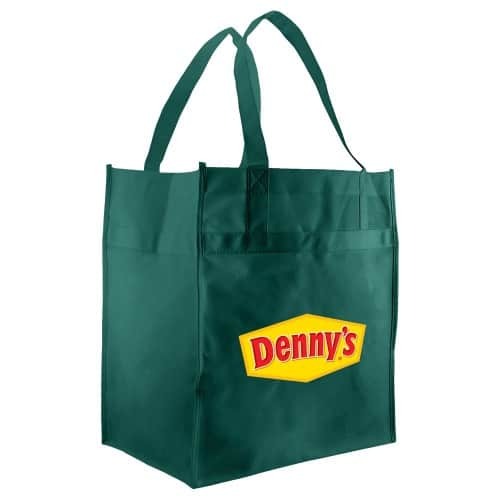 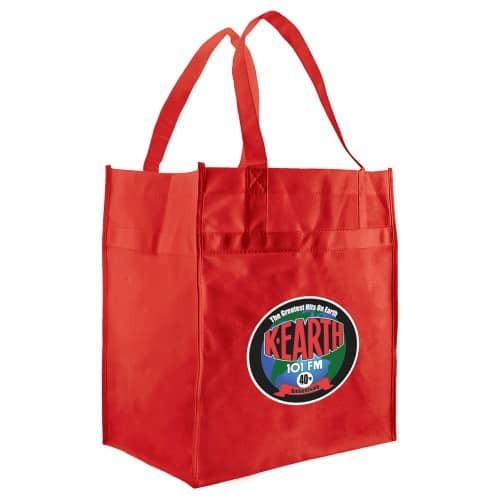 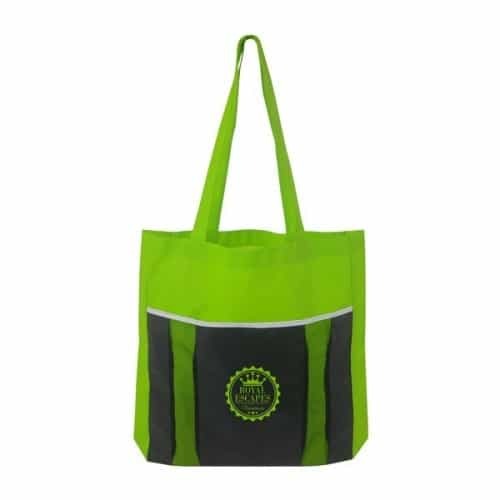 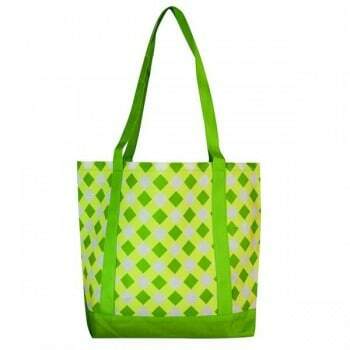 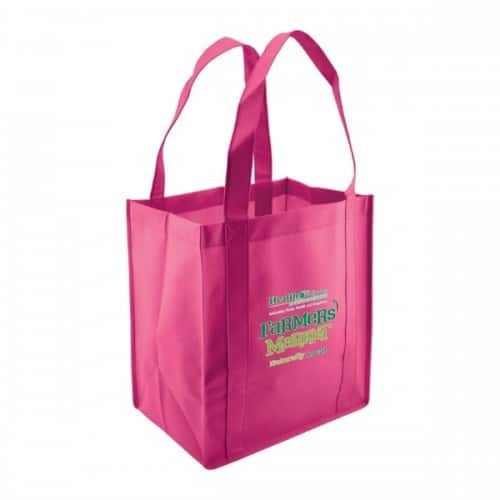 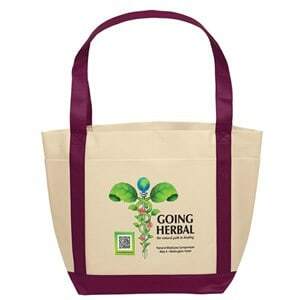 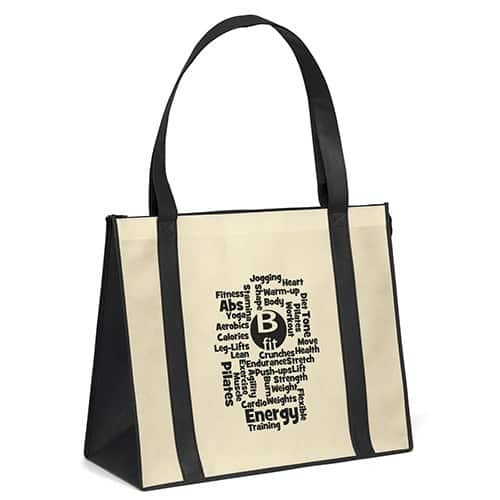 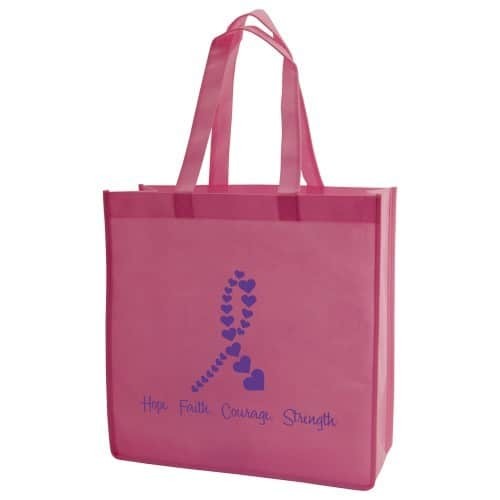 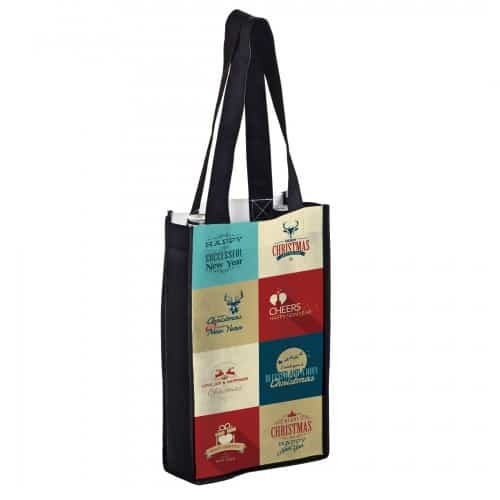 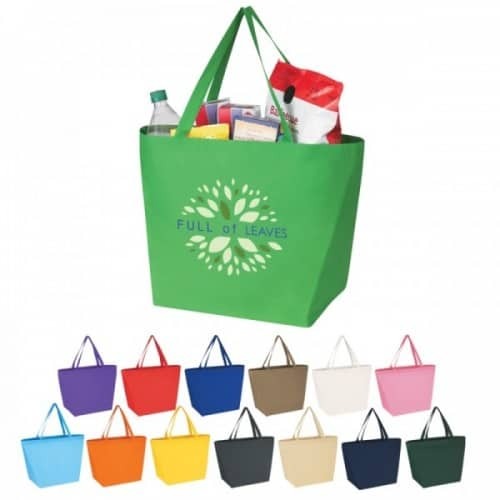 We offer these reusable grocery tote bags in a vast array of styles, colors and sizes. 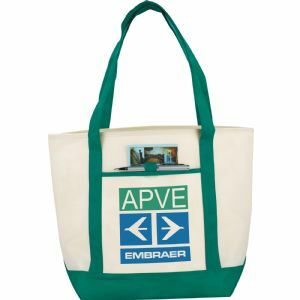 They are also water resistant, and tear resistant. 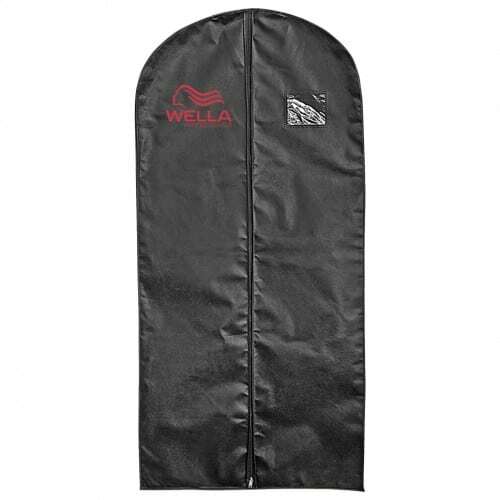 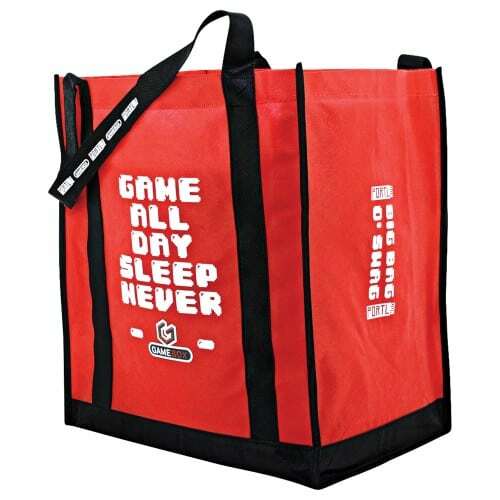 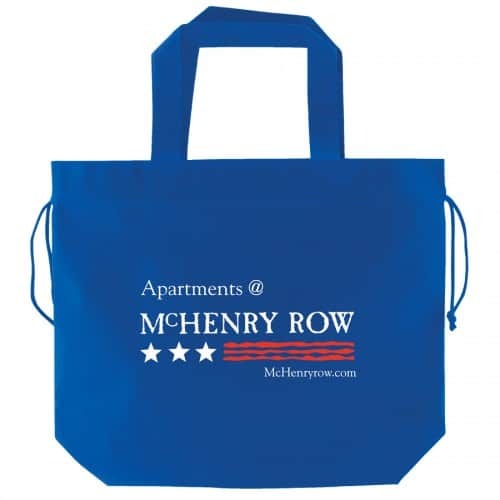 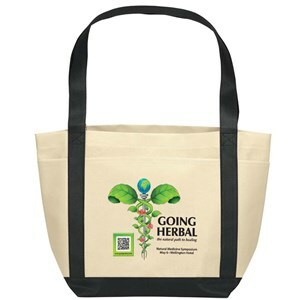 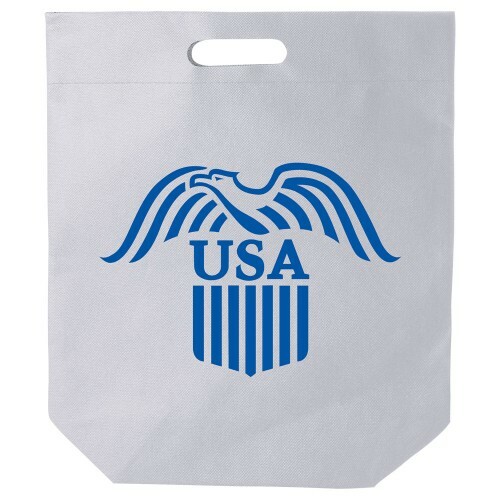 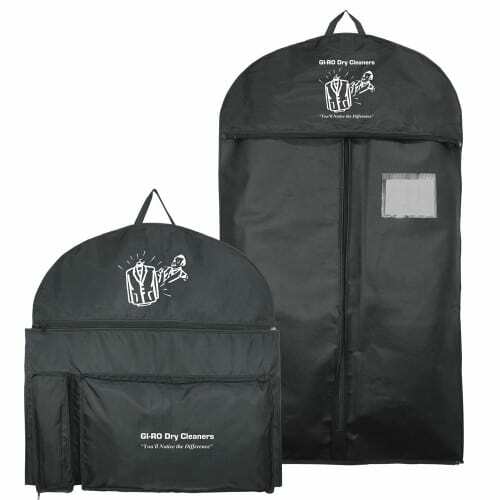 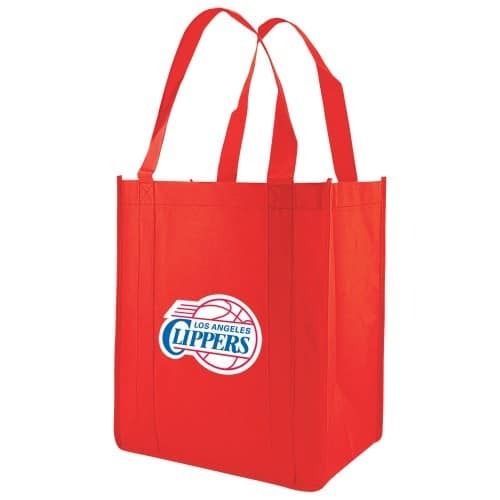 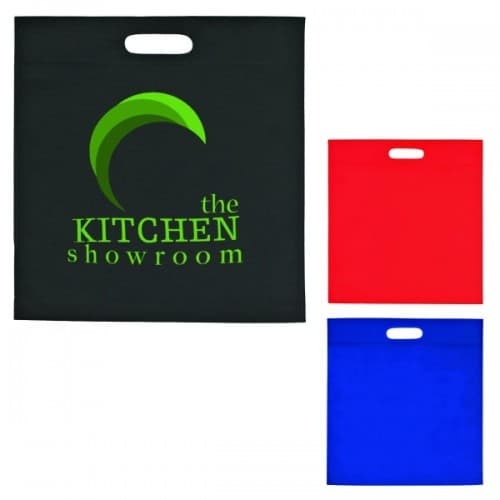 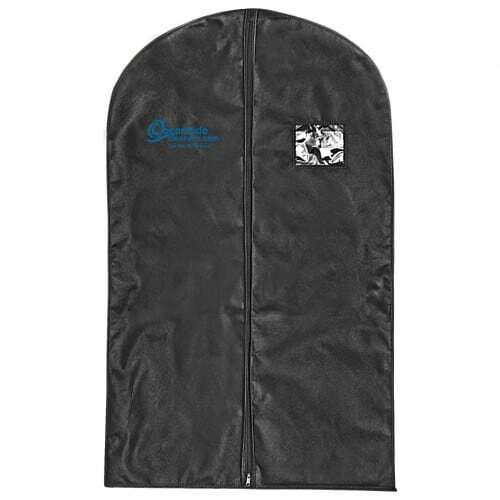 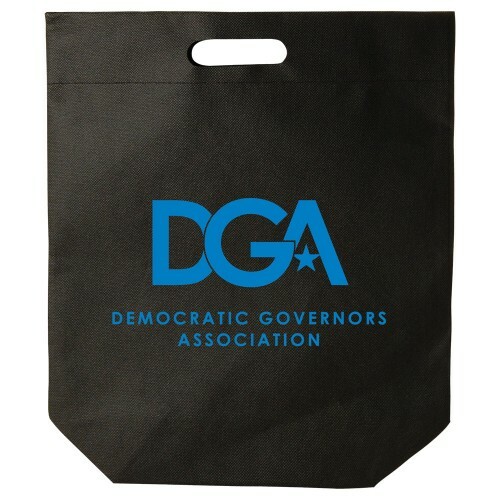 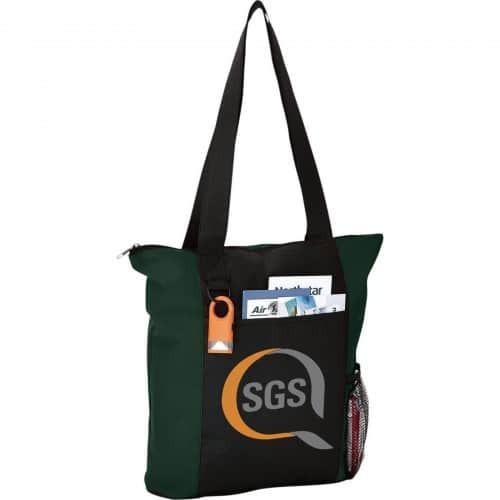 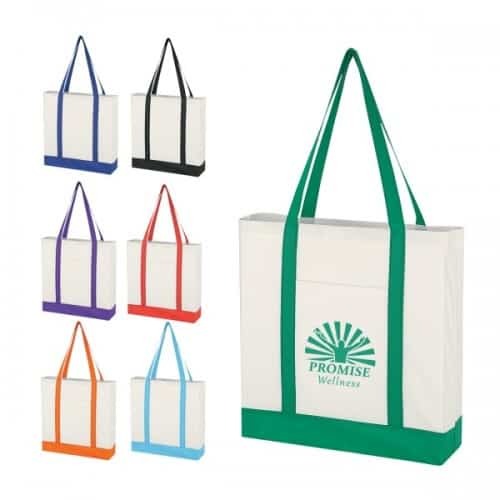 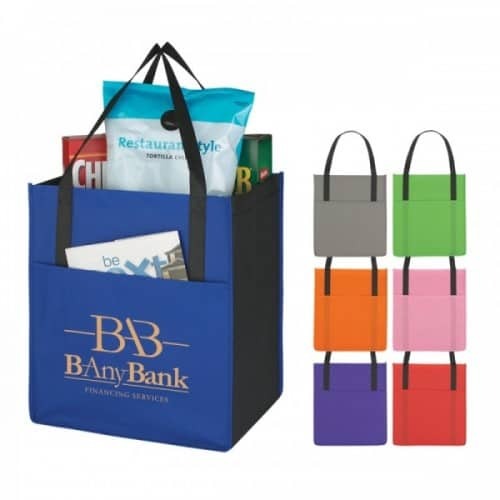 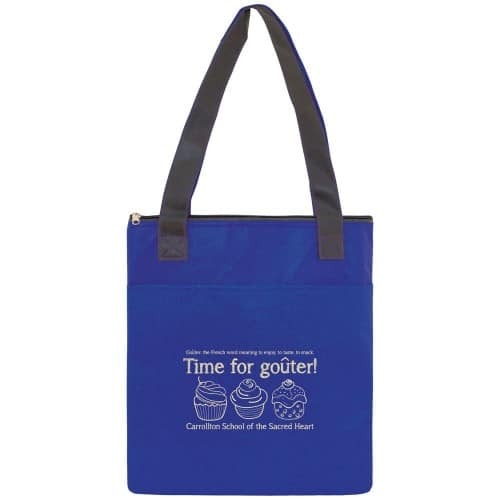 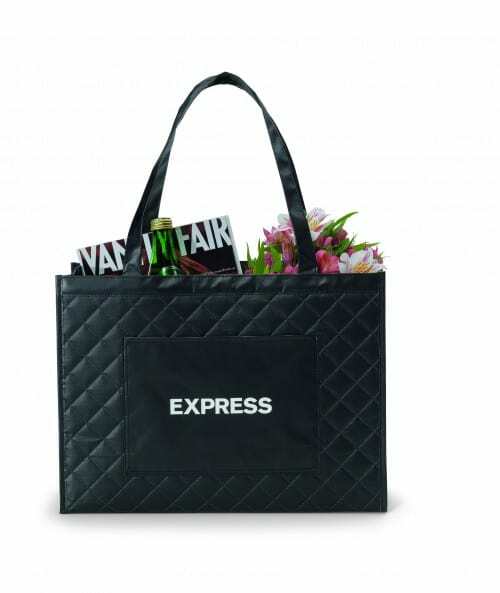 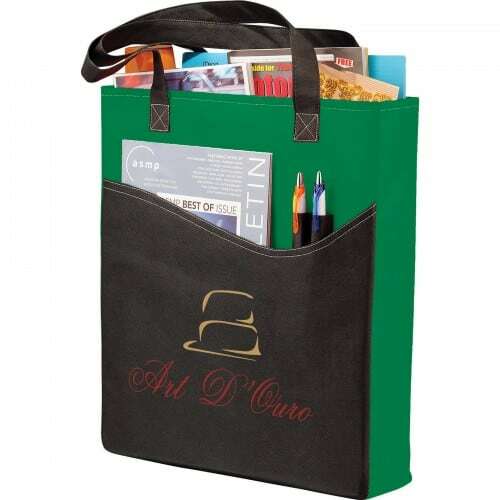 These non-woven tote bags are extremely economical since they are used many times over. 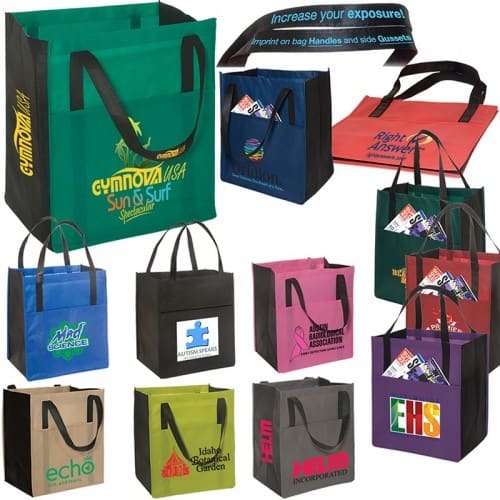 They also act as excellent means of advertising your brand in an eco friendly and responsible way. 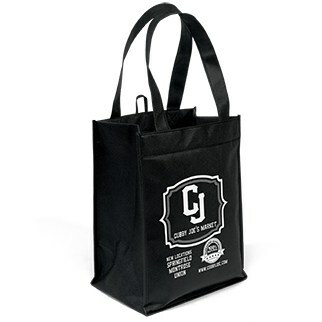 These bags will show off your name and logo throughout their long useful lives. 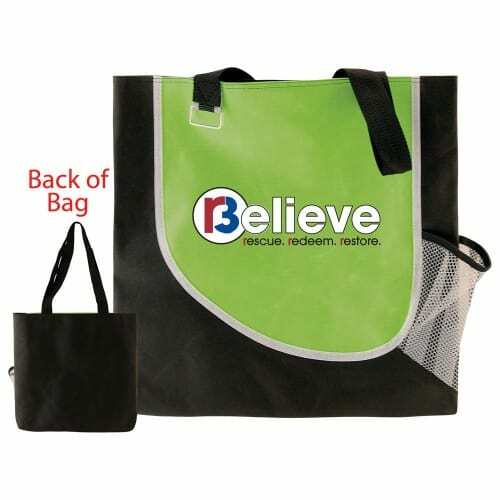 Wide selection of sizes, colors and styles. 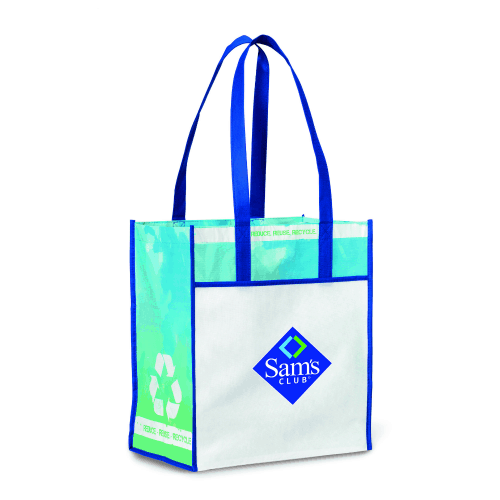 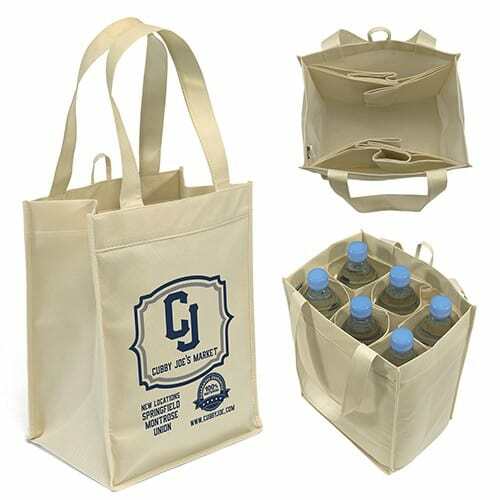 Saved and reused, these bags become a walking billboard when branded with a company logo.